← evo’s new master does as it pleases! Bolivian Labor and Environment under peril by China! “An illegal handling of these sentences can be prosecuted for prevaricate, this is going to remain as an antecedent, they have tried to justify the unjustifiable and say that it was a finger mistake. 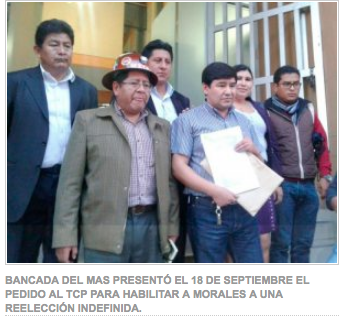 Of course, people do not believe in this error and it shows that a sentence was being prepared in favor of Evo Morales,” explained Assemblyman Edwin Herrera. This entry was posted in Bolivia, Politics, Social Unrest and tagged corruption in public office, democracy in peril, government failures, Ochlocracy, police and judicial corruption. Bookmark the permalink.